Apps are a booming business, growing exponentially in popularity each year. Using a time card app taps into the technology your mobile employees are already using. As if you needed another reason to embrace the mobile movement, we now know that 50% of the population owns a smartphone and those users download an average of 41 apps, up 28% from last year. This study also concluded that 85% of users prefer apps over mobile websites. 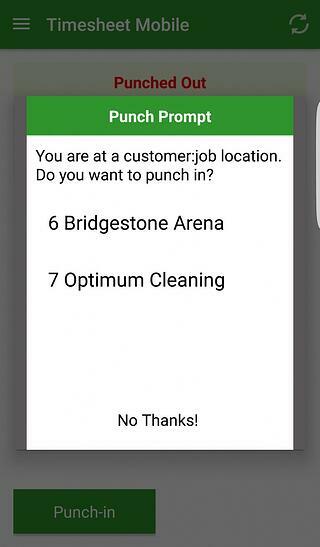 With this already captive audience, why ask your mobile employees to punch in anywhere but their time card app? We use our mobile devices to check our bank statements, check in at our favorite restaurants and check facts in record time. Given our reliance on—and obsession with—our phones and tablets, it would be second nature to use a time card app for work as well. With people averaging 158 minutes per day on their mobile devices, compliance in using a time card app for work is a virtual nonissue. For businesses struggling to keep track of employees in the field, this is a win win. Timesheet Mobile provides employers with the vital location information that they need; workers get a virtual hub where they punch in and out, receive alerts and reminders, view their schedules and communicate efficiently. Give our time card app a trial run here.